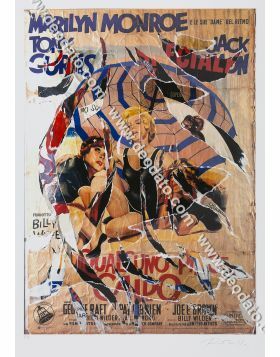 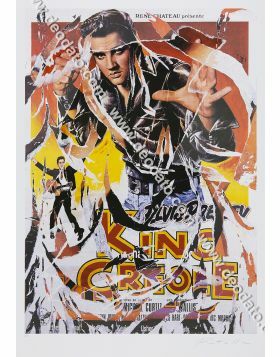 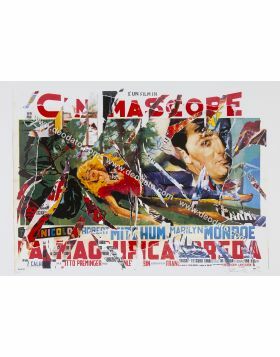 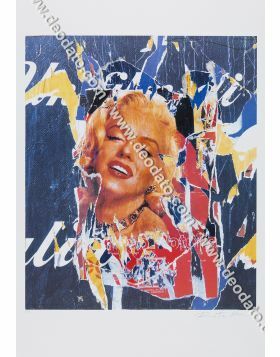 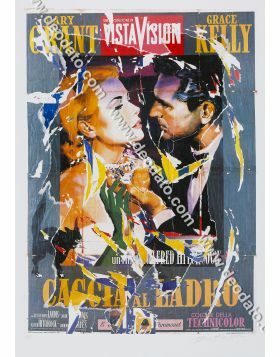 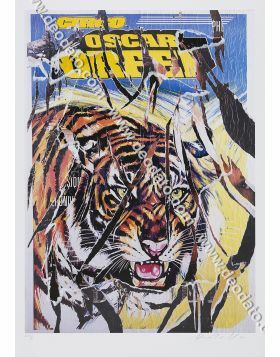 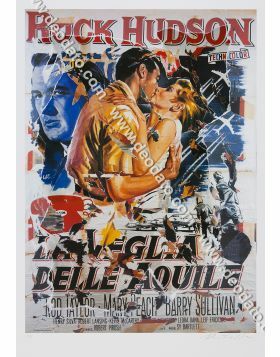 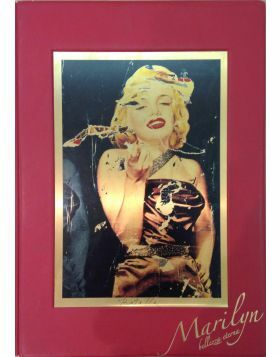 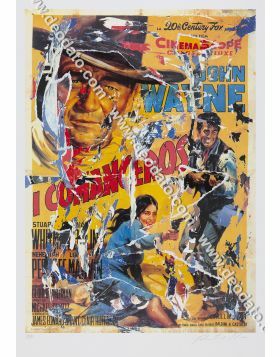 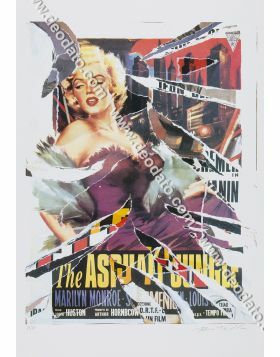 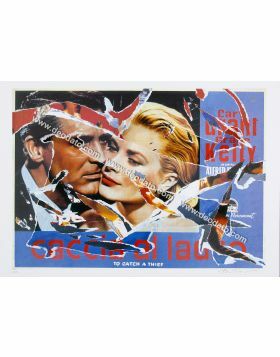 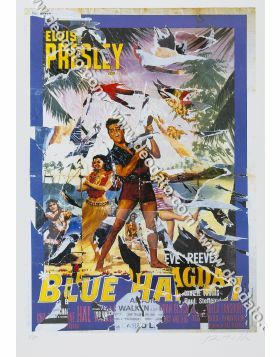 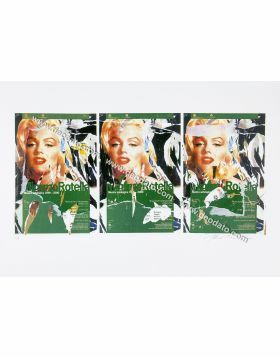 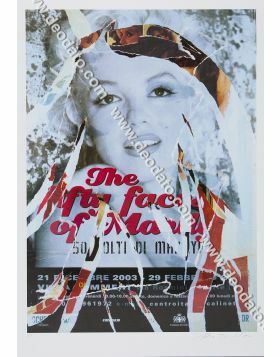 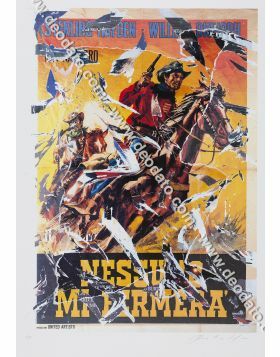 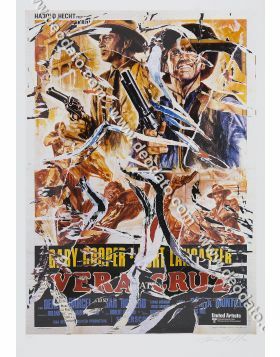 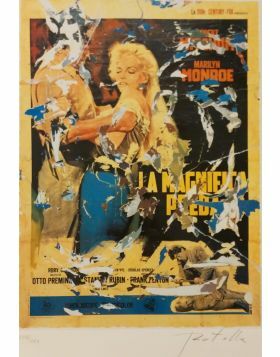 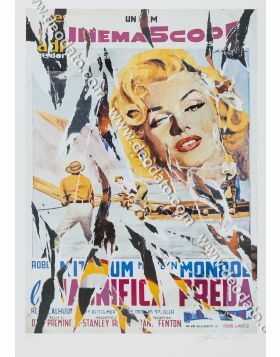 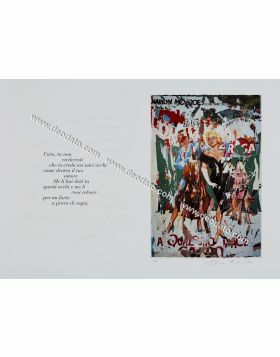 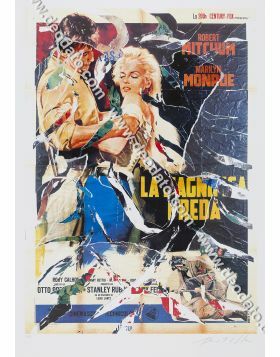 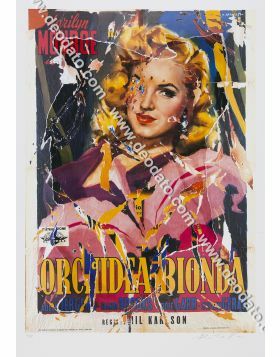 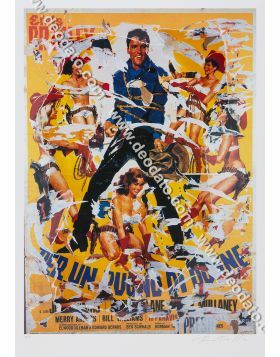 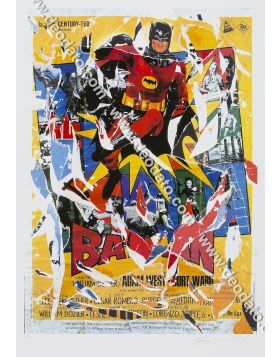 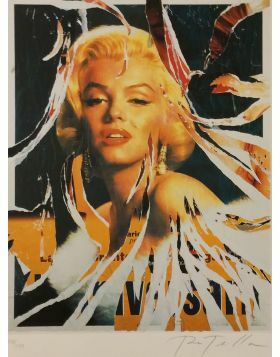 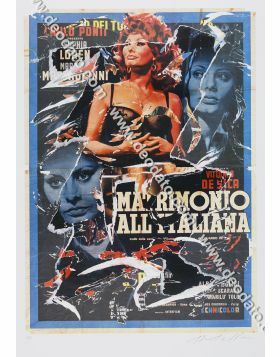 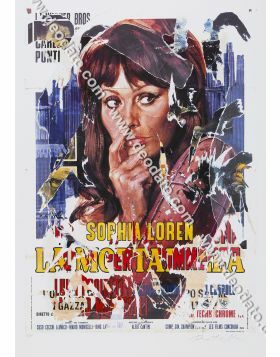 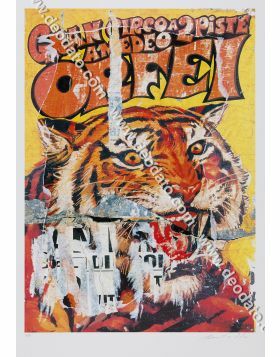 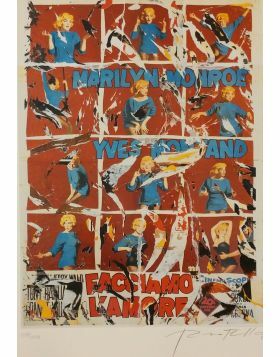 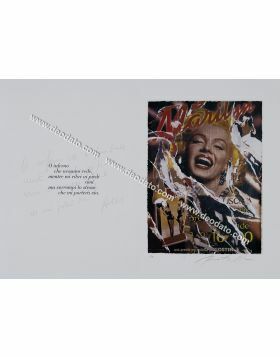 Mimmo Rotella's decollage multiple inspired on the film poster of Bus Stop, 1956, directed by Joshua Logan, strarring Marilyn Monroe. 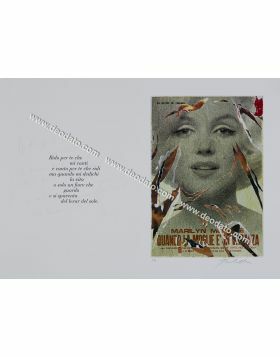 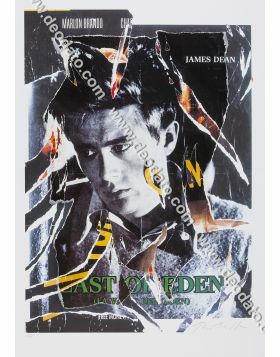 For the film magazine "Cahiers du cinema" the film is a masterpiece. 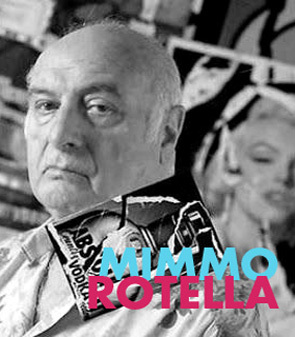 Rotella could ignore this manifesto? 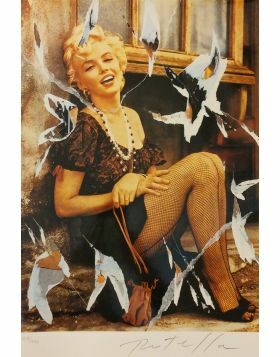 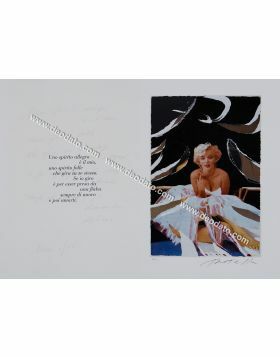 At first the director was not very thrilled to have Marilyn Monroe in the cast, because the star was famous for being capricious on set. 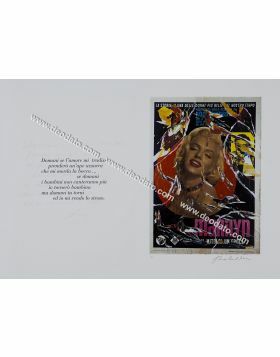 During the filming, however, he changes his mind: Marilyn plays to perfection her role as Chérie, a saloon singer who dreams about Hollywood.